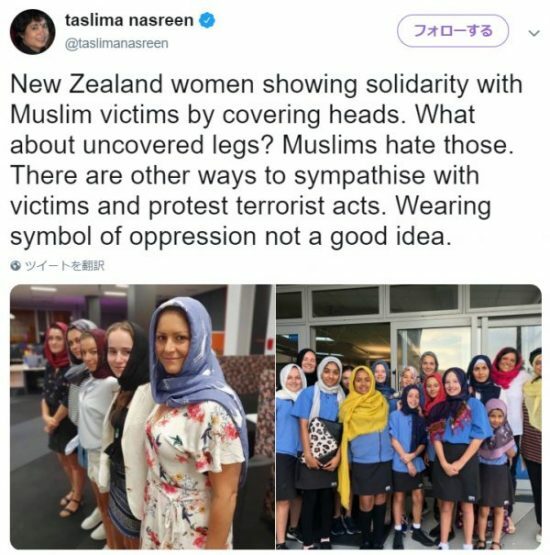 I don’t understand why New Zealand’s white non-Muslim women need to wear Islamic hijab, the symbol of female oppression, as tribute to the victims of mosque attacks. Did New Zealand’s white non-Muslim men wear Islamic skullcap for solidarity? Or is it only women’s responsibility? Brave women in Muslim community around the world have been fighting against misogynistic Islamic oppression and throwing off their hijab and burqa. But New Zealand’s Prime Minister by wearing hijab, not only deny those brave women’s struggle for freedom, she insults them too. I am sorry #NewZealand, but this solidarity has skewed too much towards misogyny.